The meteors are falling. Every month they come and the scrappers race each other to see what treasure may have fallen from the sky. They know they can sell the good pieces they find and get the money they need to survive. Piper lives alone now that her father died breathing the dust of the iron factories in Noveen, in the Dragonfly territories where he had gone to find work. Back home in the land of Merrow, Piper waited for him until the sad news came and she was left on her own with the memories of what he had taught her standing between her and complete despair and destitution. Her father bought her tool after tool and worked with her until she could repair any type of machinery. Now Piper uses her skills to repair machinery of all types to get food and money. Amazingly she seems to be able to "heal" a broken watch or a shattered engine. In the community her abilities have begun to draw notice and a kind of untrusting attention from her neighbors. That is what life holds for Piper on this day that brings a meteor shower with a treasure Piper never expected. When Piper throws caution to the wind to save her young friend Micah who is risking his life out searching through the storm's leavings, she sees a caravan of traders. They, too, are trying to be the first to sift through the trash and the treasure. What Piper discovers is not the usual machine. Instead she finds herself carrying a wounded young girl back to her home and as Piper cares for the girl, she sees a mark on the girl's arm. 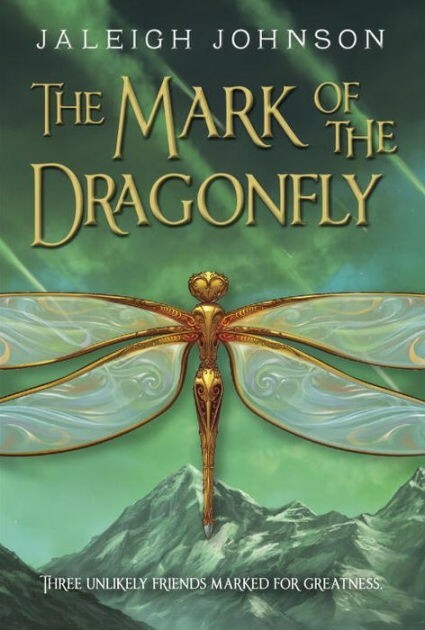 It's the mark of the dragonfly which holds the protection of King Aron of the Dragonfly lands. Piper knows if she returns the girl to her rightful place, she could earn herself a reward that could change her life. Armed with her hopes, she takes the desperate chance of teaming with Anna, the girl, and breaking into the 401, a train headed to Noveen. Mystery and a sense that perhaps Piper does not know her own abilities create a wonderful arena for the action that follows. The mark of the Dragonfly Tattoo is a sign of power and is worn by those under the protection of King Aron. Piper's path is leading her straight into this king's world of intrigue, power and great danger. Who is Piper? What powers does she hold even unbeknownst to herself? Where is her adventure taking her? Does she have enough strength to take care of herself as she goes up against one of the most powerful men in the realm? Where does Piper really belong? This is a story of secrets, romance, magical powers and the search for the place that feels like home. Thrilling and exhilarating this story is brimming with a sense that something amazing and phenomenal lies inside each of these characters and is just about to be revealed. Wonderful girl-centered adventure with an exceptional heroine who steals your heart.